To coincide with American AAdvantage moving to their revenue based mileage earning model, Alaska Airlines will be adjusted the earn rate for Mileage Plan members who fly on American as of August 1st. 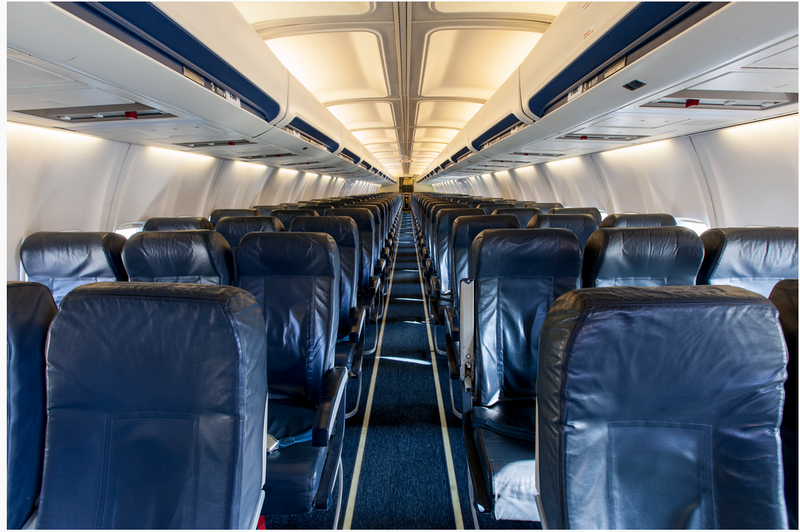 Full fare business and first class will go up to 200% miles flown while discounted economy which used to earn 100% of miles flown will vary from 25% for the cheapest tickets to 75% for the pricier discounted tickets. Full fare economy and discounted premium classes remain the same. Find out more here. Also on the Alaska Airlines newsfront is the approval of their partnership with Japan Airlines that we mentioned sometime ago. You can now earn and redeem miles with each other airline's programs Mileage Plan and Mileage Bank. The redemption chart for Japan Airlines Mileage Bank members looks really good for travel within North America and competes well with Aeroplan and British Airways Executive Club! Now JAL Mileage Bank miles are relatively hard to come by for us Canadians unless of course you credit all your flights and hotel stays to JMB but the easiest way to earn them for those who may not travel JAL often but want an awesome option for redeeming on Alaska Airlines is the Starwood Preferred Guest Credit Card from American Express. Starpoints transfer to JMB at a 1:1 basis and like Aeroplan, JMB short haul flights on Alaska are only 15,000 miles, medium haul are 20,000 to 21,000 compared to Aeroplan's and most other FFP's 25,000 mile requirement. For those of us out West this may now to be program to really look at for flying up and down the West Coast! Find out more here. Don't forget to enter our Marriott Rewards contest!! You can enter to win up to 30,000 Marriott Rewards points! Find out all about here. Book WestJet's Canada Day sale today! Lock in some great fares for this fall and winter if you book by the end of today. Find out more here. The newest set of Air France KLM's Promo Awards were released today but won't be bookable until 6pm EST today The discount ranges from 25 to 50% off the regular amount of miles required. As you can see just by the discount this can be a very good offer if you get 50% off for Business Class! However this month's bookings are all at 25%, still decent if your planning to redeem anyways. Two Canadian cities are up for a discount in this latest offering. 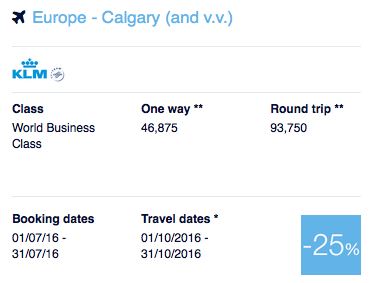 Calgary and Toronto are all available at 25% off for business class redemptions on KLM. The best news today is the launch of our contest with Marriott! You can enter to win up to 30,000 Marriott Rewards points! Find out all about here. Enter to win up to 30,000 Marriott Rewards Points with Rewards Canada & Marriott! - Double HHonors Points for weekend stays at participating Hilton Hotels Worldwide. More... Until ? It has been a little while since we've run a contest on Rewards Canada and that dry spell came to an end today when we launched this great contest with Marriott today! To enter the contest visit rewardscanada.ca/marriottcontest and comment on the page with what Marriott Rewards benefit appeals to you the most! One lucky reader will walk away with 30,000 Marriott Rewards points and a runner up will take home 15,000 points! The contest is open to Canadians over the age of 18 excluding Quebec and you have until July 18th to enter! There is another new short term first time booking bonus with Rocketmiles. If you have never booked with them do so by July 1st and you'll earn 3,000 bonus miles or points in the program of your choice that they partner with. Aeroplan is included! Find out more here. 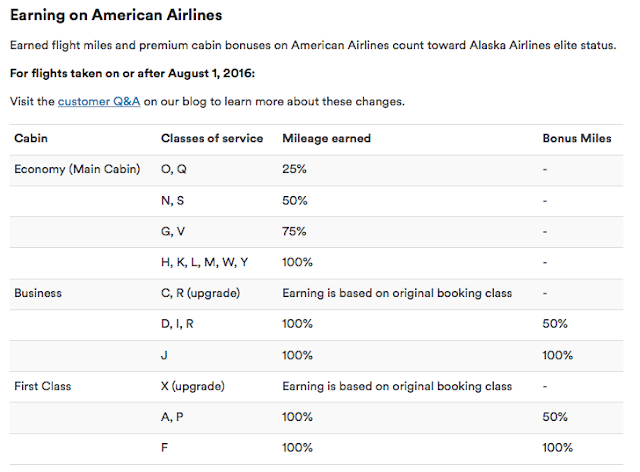 More great lounge news for The Platinum Card from American Express cardholders. Another Centurion lounge has opened in the U.S.. This time in Houston at IAH. Platinum cardholders get free entrance to any American Express Centurion lounges but don't fret if you have a card like the American Express Gold Rewards Card you can still get in but you have to pay an entry fee. Find out more about Centurion Lounges here. Starwood Preferred Guest has launched their annual Canada Day sale. You can save 15% or more for Starwood Hotel stays across Canada until September 6th. Simply book by July 1st. Find out more here. Emirates has launched a great sale for their flights to Dubai from Toronto. Perhaps feeling the affect of Air Canada's flights you can fly Emirates for only $899 all in for travel Sep 16 to Apr 21 if you book by Jun 30. Find out more here. 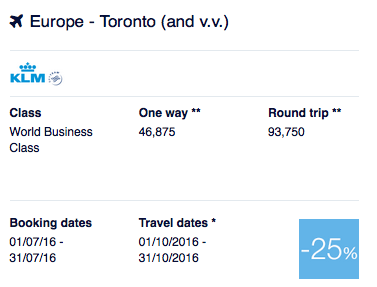 - 20,000 Point Sign up bonus when you apply for and receive the RBC Platinum Business Avion. More... Until ? This is the summer for Aeroplan hotel promotions! If you don't need to credit summer hotel stays to a hotel program than Aeroplan should be your choice! The good thing with this offer from Hilton is that you can earn both points and miles so you get the best of both worlds. Starting on July 18th Aeroplan members can earn triple miles for stays in Canada, the Caribbean, Central and South America. Can't make use of this offer? Find the most complete list of Aeroplan bonuses here! 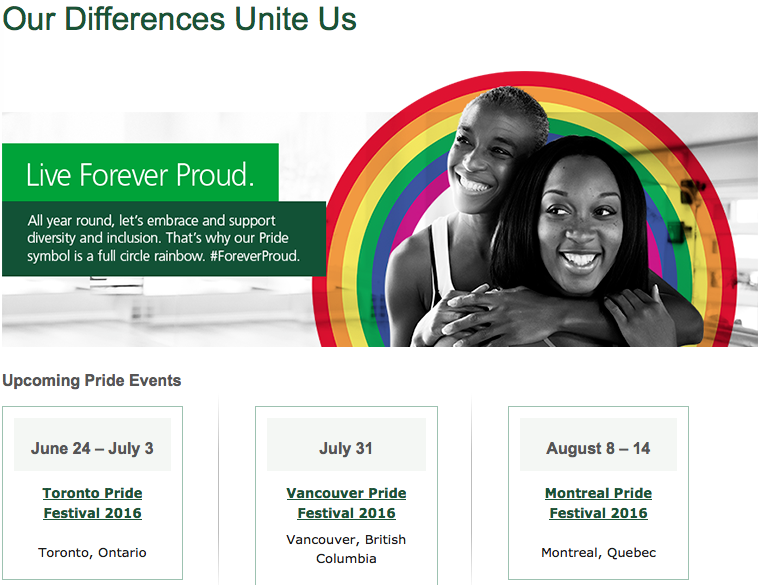 If you hold a TD Aeroplan co-branded credit card be sure to pull it out and use it this week in Toronto, late July in Vancouver and early August in Montreal! Why? For every dollar spend on the cards during the weeks listed below in the three cities Aeroplan and TD will donate one Aeroplan Miles to support organizations that fight for LGBT rights. If you aren't a TD Aeroplan card holder yet, you probably won't be able to help out in Toronto if you apply right now but you definitely can have the card in your hands before the Vancouver and Montreal dates. Remember too that Rewards Canada has an exclusive offer running right now with TD Canada Trust for the TD Aeroplan Visa Infinite Card where you'll earn double miles on select spending over and above the card sign up bonus. This offer is the richest in the market if you can max out your spending at $5,000! Find out more about our exclusive offer here. The airline is going to be run much like Ireland's Ryanair and the U.S.'s Spirit Airlines by charging for just about everything. If you can fly with just a purse or laptop bag and check-in online and don't print a paper boarding pass you'll get their lowest fares. Outside of that you'll have to pay more. You can find all the details on this new airline at flynewleaf.ca. Nope. WestJet is cheaper, granted not direct but you'll earn WestJet Rewards dollars and not have to pay for carry on luggage. Like always, it is best to shop around to see who has the best deal for your flights. Remember if newleaf codes as a travel provider on your credit card you will be able to redeem proprietary credit card points for their flights. Find out more about Proprietary Credit Card Reward programs here. One final note, lets hope they make it as the other airline like newleaf that partnered with Flair Airlines, GoSarvaq didn't even make it off the ground. If you don't have the Starwood Preferred Guest Credit Card from American Express we do explain in this post why you should still consider getting it and now it got even better for those who need supplementary cards. As of yesterday any new applications that include a supplementary card will have that card's fee waived in the first year for a $50 savings. Find out more and apply for the card here. 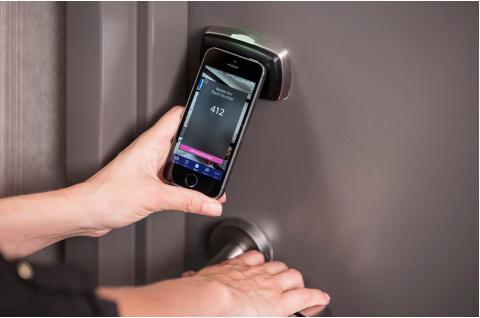 Yesterday we let you know about a potentially good Best Western Rewards offer. Well BW got back to us and the bad news this promotion is only open for Best Western Rewards members in Ireland, Russia, Spain & Portugal, Africa, and Middle East. So unless you have a residence or address there where you can change your BW Rewards profile to this offer won't work for us Canadians.